Right in Our Region: It’s not everyday that a pianist has the opportunity to play at the debut performance of an entirely rebuilt grand piano. On Nov. 9, Jesse Parker will be doing just that on the historic stage of the Coronado Performing Arts Center. 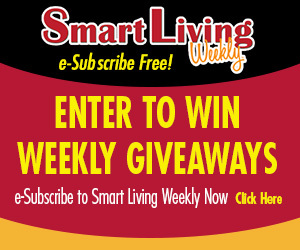 Congratulations to Rachel Kadar of Rockford, this week’s Smart Living Weekly giveaway winner! Rachel is taking home a $50 gift card to to Arch Apothecary in Rockford. Next week, you can win a $50 cookie bouquet from Cookies by Design in Rockford. To enter this contest and be automatically entered for a chance to win our Grand Prize Trip Giveaway, fill out the form below or visit http://woobox.com/j24dwo. Not yet a Smart Living Weekly e-Subscription member? Sign up here! This entry was posted on Tuesday, October 15th, 2013 at 11:59 pm	and is filed under Smart Living Weekly. You can follow any responses to this entry through the RSS 2.0 feed. Both comments and pings are currently closed.